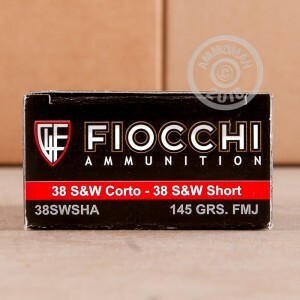 This ammunition from Fiocchi is an excellent practice load for your .38 S&W revolver. 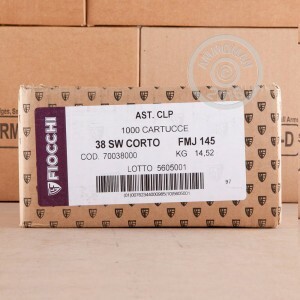 Each cartridge in this box of 50 fires a 145 grain full metal jacket bullet at a muzzle velocity of 780 feet per second, producing good accuracy and relatively mild recoil. 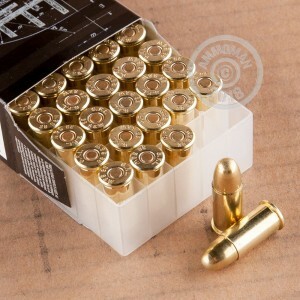 This is .38 S&W ammunition and should not be used in firearms chambered for .38 Special or .38 Super. Place an order for $99 or more at AmmoMan.com to earn free shipping!